Romans 8:28 – “…And we know that all things work together for good to those who love God”. No, I didn’t make the mistake of buying a BMW M3. Some day maybe, but when I do it won’t be a mistake. Here’s 7 financial mistakes that I’ve made that hopefully others will benefit from and not make the same mistakes. 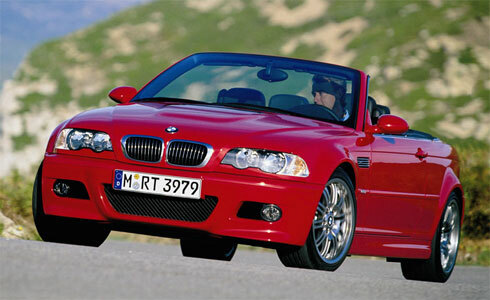 Read on and you’ll see how the BMW plays in, but nothing like a shiny red car to get your attention huh? I’ve read numerous times that personal finance is about common sense. If that is true, I must not have any (no comments dear). We lived on more than we made for so long we thought it was normal. We constantly overspent and bought things when we wanted them rather than waiting. We used our credit cards far too frequently and for things like buying groceries and gas. Not a good sign. If I could give just piece of advice to people looking for the one thing they could do to improve their finances, it would be live on less than you make. After our life crisis late last year, we completely did a 360 on our finances. Since then, we have been living on about 80% of income, we have a $1500 emergency fund and are putting 20-25% towards debt. So if you find yourself struggling to make ends meet, take a hard look at your budget and begin living on less than you make today. Until recently, we always had new vehicles, knowing that it wasn’t a good financial decision. New vehicles lose a large portion of their value as soon as you drive them off the lot. We currently both drive used vehicles, my wife a 2004 Dodge Durango and myself a 2001 Nissan Sentra. I highly advise that you let someone else take the initial hit on a new vehicle, it can save you a tremendous amount of money. I recommend buying something 2-3 years old. Generally they are still under warranty, in very good condition and just as reliable as a new car. Don’t get me wrong, I love cars, especially brand new latest model cars. I have an incredible weakness for them and trust me driving around in a 2001 Nissan Sentra isn’t my idea of a great ride. It is however reliable, good on gas, has plenty of room for my needs, and best of all, it’s mine. It is 100% paid for. I plan on keeping it for a while. It currently has 115k miles on it and I am a bit curious to see how long it will go. Any predictions? So for now, that BMW M3 I have craved and drooled over for years will just have to wait. We really took a beating when we bought our current house. We thought we were in desperate need of a home and fell into the trap of trusting our real estate agent and not doing research on our own. Turns out we ended up paying about $20,000 more for the house than we should have. It has been a painful lesson, but one we won’t forget. Now, with that being said, we love the house, just wish it had more land. We’re going to fix that problem as soon as we get out of debt. When buying a home, make sure you do your own research. Many states and counties have GIS databases where you can see what your prospective neighbors payed for their homes. Find houses similar to yours in the neighborhood or area, and look them up. Make sure those values line up with the market analysis your real estate agent is showing you. Also, make sure your agent has signed a buyer’s broker agreement. This will legally keep them working in your best interest. In hindsight, even though our agent signed a buyers broker agreement, she mislead us. If I knew then what I know now I would have sued for he difference, but just another example of “stupid tax”. Nobody to blame but myself. You are pulling money out that should be making on average about 10-12% return only to pay yourself 6%. You cut your investment by 50%. I have a loan outstanding now, and once it’s paid off, I won’t borrow from it again. In the past I’ve been late on credit card payments. In today’s world of online banking, scheduled payments and online calendars, there is no excuse for this. Missing a payment and/or being late can really cost you. Many cards are now charging $30+ dollar late fees, and if you have a low interest rate and miss just one payment, your rate can increase significantly. This happened to me on a card a few years back. It was a 0% interest deal on balance transfers, which I took advantage of. In the fine print, which of course I didn’t read, it stated that if you were late on any payment your rate would go up. I was a few days late on a payment, was charged a $30 late fee, and my rate went up to over 20%! Don’t make this mistake. 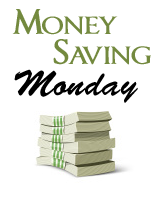 Use online banking and schedule your payments monthly. 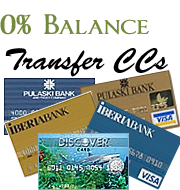 For credit cards, I would suggest scheduling the minimum payment at the beginning of the month to insure it gets paid. If you can pay more on it later in the month, than either bump up the minimum or just schedule another payment. Many online banking sites now have payment reminders as well that will send you an email x number of days before the bill is due. An emergency fund, next to spending less than you make, is probably one of the most significant things you can do to change your financial life. It allows you to stay on budget, avoid using credit cards, and reduces your stress level when it comes to money. Just knowing that if something goes wrong or that something unexpected comes up and you can financially cover it gives you a tremendous peace of mind. If you don’t have an emergency fund, start one today. Upcoming expenses are expenses you know you will have to pay. For me, these are things like: property tax, Christmas, home owners insurance, and yearly home owners association dues. You may have others. These are expenses for which you know the amount and you know when you will need to pay them. In the past, we always intended to set money aside and just never did, thinking we would have the money when we needed it. We seldom did, so we ended up using a credit card to pay for it. Dumb, dumb, dumb. The concept is simple, take the expected payment, divide by the number of months between now and when it’s due, and begin setting this money aside. I set-up an automatic transfer from our checking account to our CapitalOne High Yield Money Market emergency fund. I don’t even think about, and it’s a fixed line item in our budget. It’s incredibly simple to plan for these expenses, so don’t make the mistake of putting this off. A benefit of doing this is accruing interest while the money is waiting to be paid out too. I have many others, but these are the top one’s. What mistakes have you made? What things do you wish you could go back and change? Share your mistakes below so that others can learn from them. 7 Reasons Why Borrowing From Your 401k is Bad, Bad, Bad! Excellent post. I think at one time or another, we all did it. I certainly did 1, 2, 3, and 7. When I bought my house, I trusted my inspector and the roof leaked shortly after. I am not a budgeting person, so number 7 is my sin. As for emergency fund, I have about 6 months worth, but I invest them in mutual funds, but that’s the risk I chose to make. Thanks Pinyo, appreciate that. I’d say if you 6 months of emergency money than you don’t need a budget! I agree, the risk of having your emergency money in investments is liquidity. Not that you can’t get it, it just takes longer. Nice post. I have made many of those same mistakes. I am paying for them now, but it has made me aware of how blessed I am. I just stumbled this post. I will have to keep an eye on your blog it looks pretty good. Appreciate the stumble. If you have any feedback on the site, just drop me a line. You are welcome. And I like the way your blog is layed out and your writing style. Just keep it up. This is a really good post. The credit card payment thing is one you REALLY have to watch. IMHO it is better to just pay the minimum on all of the cards and not miss a payment and then when you have extra float it over to a card. That way you do not run out of funds to pay the cards. I have all my payments going out a few days before they are due so that they get paid on time. I have reminders set up in Money for about one week before the payment is due and I send them off then. I still get the paper statements so that I can double check the dates and payment amounts to make sure I am on track. The really important thing here is that you know not to make these mistakes again (and like you said, hopefully you’ve saved others from making them too). And shame on your real estate agent! Thanks CFO, and I agree, we all make mistakes. What is important is that we learn from them. The tricky thing with real-estate agents is lots of people know there’s a conflict of interest, but they don’t really understand exactly what it is. The conflict isn’t so much that they get paid as a percentage of the sale, but that they make more money based on the number of deals they do, so they have an incentive to close deals as quickly as possible, with as little complication as possible. So, often the conflict of interest may actually favor the buyer price-wise – seller agents often want sellers to price houses low to avoid a lengthy round of back-and-forth haggling – but not always, and it’s always in the interest of both buyer and seller agents to close the deal quickly. The math is simple: if there’s a $30K commission on the table, split between the buyer and seller agent, they’ll make $15K per month if the deal closes in a month. If it takes six months, they’ll only make $2,667 per month. So, they have a tendency to want to rush through inspections, appraisals, etc to get to the closing table as quickly as possible. Also note that the math doesn’t change much if the price is higher, since the commission is only 6% of the purchase price. One additional point is if one has a flat-fee compensation model, this problem gets worse, not better. Interesting perspective Foobarista. I knew it worked that way, just never really thought about it. Even explained though, I was still ripped. We closed quick and would have regardless of price. I don’t think she was trying to get a bigger commission more than she was just clueless. Anyway, thanks for stopping by and offering us a different perspective! I am glad I read that, it was full of useful information on mistakes made by the majority of people I know.I have even made a few of them myself. Thanks Johnny, glad you stopped by and read it as well! I really appreciate the nice comment. I think the biggest mistake my husband and I did was when we bought our first house. We were too green and gave them almost the asking price when we already knew that the house had been on the market for months. @Marie – Thanks for commenting Marie. Been there and done that one as well. The Sentra will giver you over 200K, I am sure. I have a 93 that I just stopped driving that has 138K on it, the last 40K were put on in the last 18 months or so. The AC went out and would cost more than the car is worth, so I got a newer car. Hi ! I love your blog ! The underlying verses for my blog are taken from Matt 25: 14-29, about being a good steward of what I have been given so that I can multiply it and give more to others. I’d love to add your link, if you don’t mind.I’ll try to add you back as a friend but if I don’t appear, it’s prob because I did it wrongly, not because I don’t want to be a friend. Thanks, glad you like it! I added yours to my RSS reader. Thanks for visiting Karen. I think at one time we have all made at least some of those mistakes. Just like you concluded with the key is to make sure we learn from the mistakes and attempt to not repeat them. It is difficult starting out because you do not have much money and acquiring all the basics to start a family (house, car(s), clothing, food, education/retirement savings) is very expensive. Mistakes are bound to happen when starting out. But it is all in the learning process and that is what keeps life interesting. Keep up the great content! I took out extra insurance on my previous computer which ended up costing me an extra $250 and did I need it, no way. We all make stupid mistakes with our finances but I like to think that its what we learn from it in the long term that matters and if we make better decisions next time then that can only be a positive thing. When you borrow from your 401k you’re borrowing pretax $$$ and repaying with after tax $$$. So, when you finally retire you’re taxed again on the original pretax $$$ you borrowed and then repaid with after tax $$$. Invest in the market only what you can afford to lose. I personally preferred guaranteed accounts “bird in the hand is worth two in the bush” concept !!! !